Shin-Etsu Handotai, as a leading manufacturer of silicon wafer, is now providing various kinds of semiconductor substrate, to say nothing of silicon wafer, based on crystal growth technology. 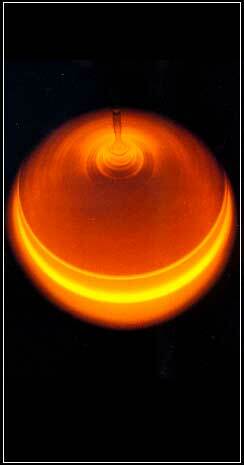 Our gas, chemicals, and jigs used during the wafer manufacturing process have also been highly rated. With the increasing demands for higher integration of devices (LSIs), the diameter of silicon wafer has become larger and larger. The next generation device will use a 12-inch (300 mm) diameter wafer, as against the conventional 8-inch (200 mm) diameter silicon wafer. Features : Polished wafers realize a high evenness and cleanness of surface with our high precision polishing method. 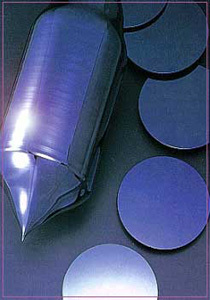 The epitaxial wafer, for which complex and strict growth conditions are required, has also been highly rated. Applications : Memory devices substrates, micro-processor substrates and so forth. For more information on Shin-Etsu's Semiconductor Silicon, please visit Shin-Etsu Chemical's Semiconductor Materials Division. 2006 © copyright by S.E.H. Malaysia Sdn. Bhd.